The Commander-in-Chief, Home Fleet (Royal Navy), gained a NATO responsibility as Commander-in-Chief Eastern Atlantic Area (CINCEASTLANT), as part of SACLANT, when the NATO military command structure was established in 1953. CINCEASTLANT headquarters was established at the Northwood Headquarters in northwest London. Commander-in-Chief Eastern Atlantic was redesignated as Commander, Allied Maritime Component Command Northwood ('CC-Mar' or AMCCN) around 2004. The command, which was renamed Allied Maritime Command Northwood in 2010, reports to Allied Joint Force Command Brunssum. At the 2010 NATO Summit in Lisbon it was decided to create a leaner and more effective command structure. This reduced the number of major headquarters from 11 to 7 and, in particular, led to the deactivation of the Allied Maritime Command Naples on 27 March 2013 leaving the newly named MARCOM as the sole maritime component in NATO. MARCOM led Operation Active Endeavour, NATO's only Article-5 operation which ended in 2016. MARCOM also led Operation Ocean Shield, NATO's counter-piracy operation in the Gulf of Aden and Indian Ocean which also ended in 2016. MARCOM was created through the North Atlantic Council to ensure the interoperability of NATO maritime forces, and placed directly under the Supreme Allied Commander Europe to be the leading voice on maritime issues within the Alliance. It is responsible for planning and conducting all NATO maritime operations. MARCOM leads four standing NATO maritime groups, two frigate groups and two mine countermeasures groups. The Standing NATO Maritime Groups are a multinational, integrated maritime force made up of vessels from allied countries. The ships and any aircraft aboard are available to NATO to support Alliance tasking. These groups provide NATO with a continuous maritime capability. The command is also responsible for additional naval assets as they support NATO missions. Current groups are: Standing NATO Maritime Group 1 (SNMG1), Standing NATO Maritime Group 2 (SNMG2), Standing NATO Mine Countermeasures Group 1 (SNMCMG1), and Standing NATO Mine Countermeasures Group 2 (SNMCM2). Currently, MARCOM leads Operation Sea Guardian designed as a Maritime Security Operation to provide security in the Mediterranean Sea. ^ "The Military Structure". NATO. Retrieved 7 April 2019. ^ "The Permanent Joint Headquarters". UK Government. Retrieved 15 June 2014. ^ "The Evolution of NATO's Command Structure, 1951–2009" (PDF). NATO. Retrieved 16 April 2013. ^ "NATO Lisbon Summit 2010". NATO. Retrieved 27 February 2014. ^ "2009 Operation Ocean Shield News Articles". Manw.nato.int. Archived from the original on 29 April 2011. Retrieved 19 May 2011. ^ "MARCOM – Mission". NATO. Retrieved 27 February 2014. 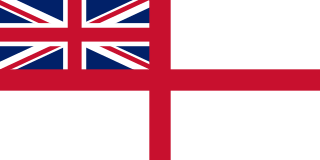 ^ "Allied Maritime Command - Standing Forces". NATO. Retrieved 8 May 2016. ^ "Operation Sea Guardian". NATO. 11 December 2017. Retrieved 22 February 2018. ^ "2017 - OPERATIONS / SEA GUARDIAN". NATO. 11 December 2017. Retrieved 22 February 2018. Standing NATO Mine Countermeasures Group 2 (SNMCMG2) is a North Atlantic Treaty Organisation (NATO) standing mine countermeasures Immediate Reaction Force. SNMCMG2 normally comprises 5 mine hunters or mine sweepers and a support ship from NATO nations. Operation Allied Protector was an anti-piracy military operation undertaken by NATO forces from March – August 2009 in the Gulf of Aden, the Indian Ocean, and the Guardafui Channel to protect maritime routes from pirates within the International Recommended Transit Corridor (IRTC). It was the second NATO anti-piracy operation in area following Operation Allied Provider and was succeeded by Operation Ocean Shield.